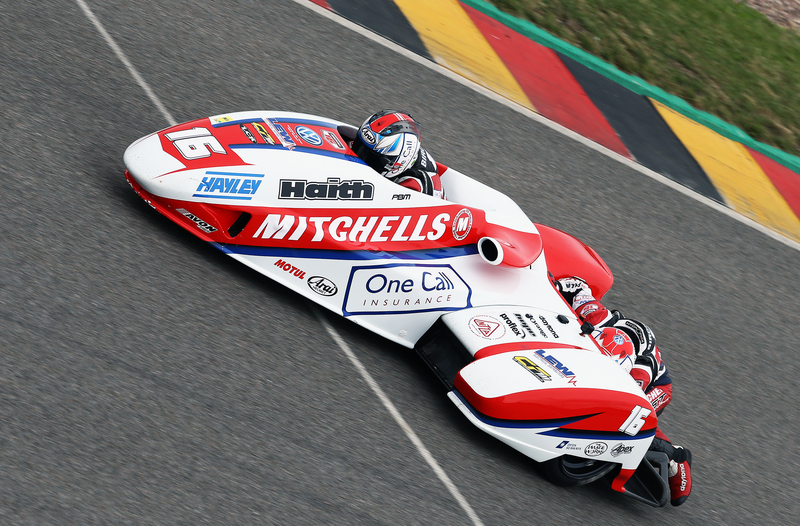 Mitchells of Mansfield backed Birchall Racing have taken the Gold Race win at the famous Sachsenring circuit in Germany at round three of the 2018 FIM Sidecar World Championship. In what proved to be a tricky weekend for the Mansfield based duo, hard work and determination paid off with a third place in Saturday’s Sprint Race followed by a commanding victory in Sunday’s Gold Race. 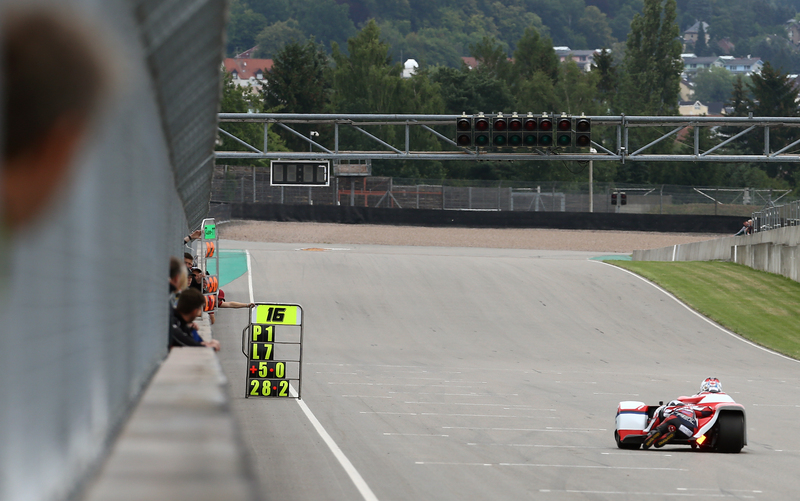 Heavy rain greeted the sidecar crews on arrival to the historic Sachsenring circuit on Friday for the first of the two qualifying sessions. With wet tyres the only sensible choice on the cold and saturated track, the Birchalls posted the third fastest time but hoped for better results on Saturday. The second qualifying session was held in the same horrendous conditions and the top three teams failed to improve on their original qualifying times set the day before. The 12-lap Sprint Race also required the use of wet tyres – the rain had stopped but the track was still very damp and required the utmost care and skill to avoid any mistakes. Just a couple of laps into the race it was obvious to driver Ben Birchall that the set-up of their LCR Yamaha outfit was not ideal for the conditions. Despite the handling issues, Ben steered the sidecar home in third place, earning the pair valuable championship points. Sunday dawned warm and dry at the Sachsenring circuit and left all sidecar crews with a difficult day ahead. With no dry track time from the whole of the weekend so far to produce data, set-up would be a combination of estimates and guesswork. 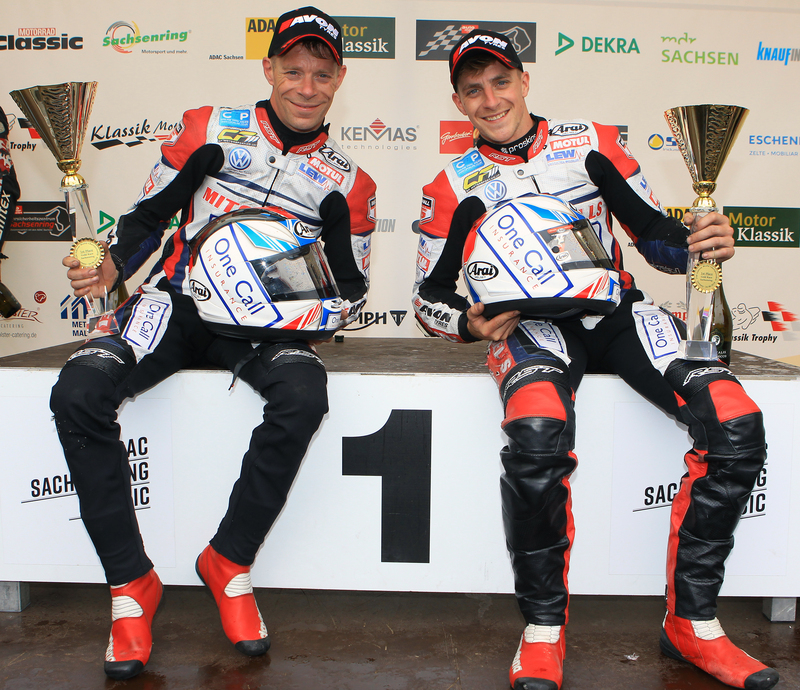 Falling back to settings from the last time the FIM Sidecar World Championship was held at the German circuit in 2014, the Birchall brothers set out on their sighting lap. With a few more adjustments made prior to the start of the race, the Birchalls were unsure how the LCR chassis would perform on the long 19-lap main event. As it happened, the team need not have worried. Riding superbly and with the skill that has earned multiple world championship and TT wins, Ben steered his way through the field. Following a close battle with fellow Brit Tim Reeves, Ben decided to make the pass and take the lead. With the outfit handling perfectly the Birchall brothers were able to gap Reeves and the rest of the competitors by approximately one second per lap. At the end of the race, Birchall Racing crossed the line with a 10.848-second advantage. The win enables the team to close in on the championship leaders in the overall standings as the 2018 season nears its halfway stage at next weekend’s round four at the Pannoniaring in Hungary on June 30.